One of life’s unlooked-for pleasures is being wrong about someone we’ve written off. How often I’ve dismissed someone because of hearsay or an initial impression, perhaps avoiding a party guest rumored to be asinine, or assuming that someone overly attached to hairspray and a lint brush is superficial, or that the woman in the sweater set and mom jeans is uncool. And then once in a wonderful while I’ve gotten to know that person, and all the pre-judgments I had formed, had built up so carefully into a dividing wall, fall down on my feet. 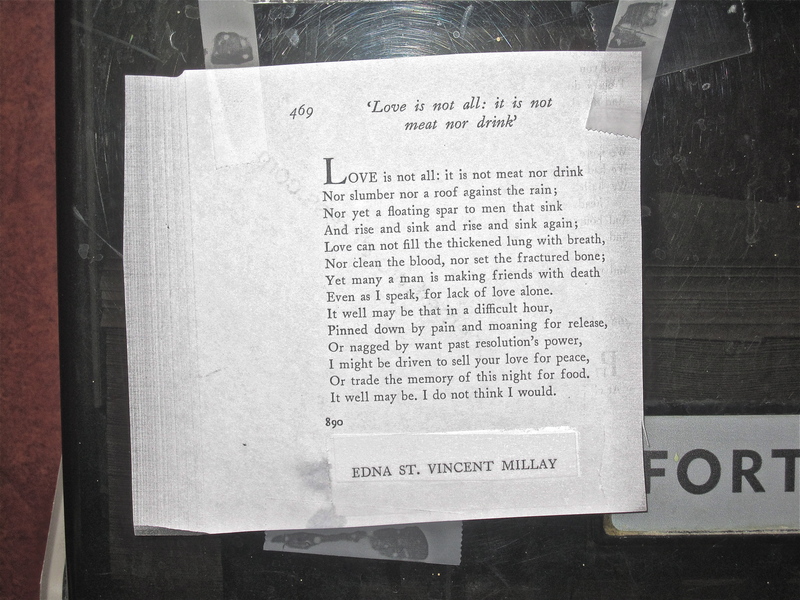 So it is with Edna St. Vincent Millay. Somewhere along the way I picked up the idea that liking her poetry was akin to owning a Thomas Kinkade painting. Clever she was, a great rhymer, heavily anthologized, hugely popular in her time, a good writer but not a great one. Or so I thought. Her reputation with critics seems to fluctuate, and the last time I checked she was out of favor, considered one of the lesser literary lights. always bugged me. The tone struck me as self-congratulatory and the rhyme heavy-handed. My attitude towards it is the same as fashionistas would have towards a matchy-matchy outfit. My aversion deepened when I listened to a recording of her reading “Love is Not All.” Her voice (you can listen here) is so affected I thought at first it was a joke. Those rounded tones! That patrician pomposity! Reminded me of Lina Lamont’s voice coach in Singin in the Rain. Tah, tae, tee, toe, two. I cahn’t stahnd him. But now that I’ve read the poem over and over, I’m surprised that I like it. I really like it! I like her other poetry, too, in fact I’m pretty much loving her other poetry and I’ll go so far as to say that (remember, I’m not an academic) she’s underrated and under-read. Read “Wild Swans” and “Bluebeard” if you get a chance. They’re both brief but pack heat. Back to the poem. 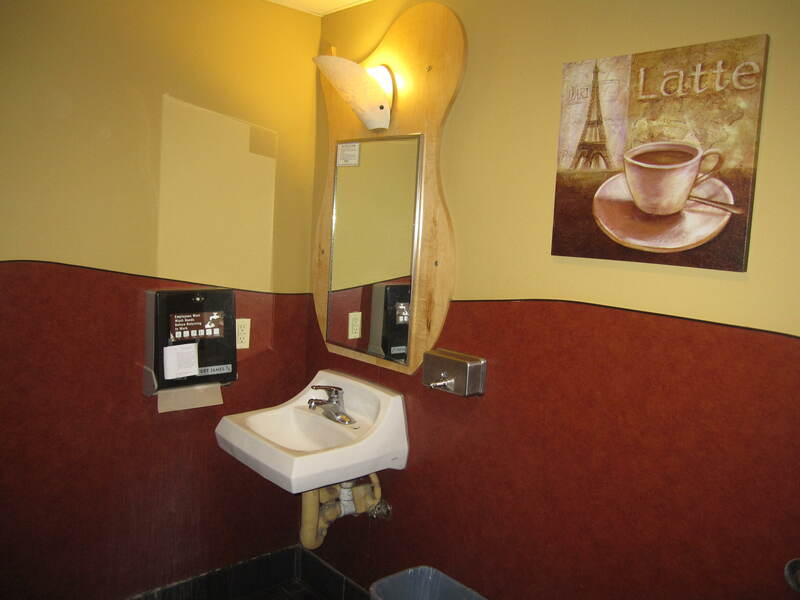 At first it seems old-fashioned and overwrought. The form and the diction are formal, not what you’d expect from a woman who flouted convention in every way, the Bohemian queen of Greenwich Village. All those nor’s—nor this nor that–and masculine end rhymes (one-syllable true rhymes like sink/drink, bone/alone) and the fact that it’s a sonnet for Pete’s sake, pull the poem out of the modern age. The poem is so structured and self-consciously literary that she makes even Robert Frost sound like he’s improvising. A sonnet, in case you’ve forgotten from high school English, is a 14-line poem, usually a love poem, following a specific rhyming pattern. This one is a Shakespearian sonnet and so the poem rhymes in alternating lines until the last rhyming couplet. Those last two lines are what brought me to really liking this poem. The rhyme changes from true rhyme to what’s called “slant rhyme” (food/would), a subtle type of rhyme, more modern. The very last line, It well may be. I do not think I would, is suddenly more casual, conversational and looser than the previous lines. And also more honest and human. It’s perfect. The message too surprises. Up to the very end, she’s had a grand time making her pronouncements about love. Love can’t save you from drowning, love can’t feed you, oxygenate you, heal you. But then she turns from Down With Love to admitting that she’s written a love sonnet, pure and simple. Love is all to her: she wouldn’t save herself from starvation or mental torment by losing the memory of this one night with her lover. Edna St. Vincent Millay grew up poor but well-educated thanks to her single mother’s scrappy efforts and the charisma Vincent, as she called herself, worked on people who could help her and pay for her education at Barnard and Vassar. A tiny red-haired beauty, she seemed to attract every man and woman who breathed in her air. She turned down a multitude of marriage proposals because she wanted to be free in love and art. She only married when it best suited her artistic pursuits. She found the perfect man for her, a Dutch businessman (the widow of feminist Inez Milholland), who cooked and cleaned and fussed over her as she grew more self-destructive in her addiction to alcohol and pain killers. She was an openly bisexual, socialist-leaning writer of poems and plays who was surprisingly popular with middle America. She drew large crowds on her reading tours, got her face on a postage stamp, and won the Pulitzer prize for poetry. She died at age 58 after falling down the stairs from a heart attack. I still can’t claim her as a favorite. I have an image of her as the trembling girl from the drama club who takes herself too seriously. But my resistance is futile in the face of poems as beautiful as this one.